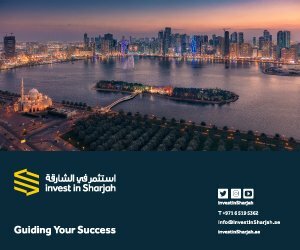 A delegation from Sharjah Investment and Development authority (Shurooq) has taken part in the Asian Financial Forum (AFF) that took place from 18-19 January 2016 at the Hong Kong Convention and Exhibition Centre. Shurooq ‘s participating delegation was let by Saud Meqdad Al Suwaidi, Director of Sharjah Foreign Direct Investment at the Sharjah Investment and Development Authority ( Shurooq ) and included Mohamed Juma Al Musharrkh, Deputy Director of Sharjah Foreign Direct Investment at Shurooq , and Diana Yonghui MA, Investment Promotion Executive at Shurooq . Under a theme of “Asia: Shaping the New Paradigm for Growth” over 2,600 financial and business leaders attended, with over 100 distinguished speakers and 500 journalists from around the globe. The AFF sought to examine the latest market developments and financial trends in Asia and beyond and is a platform for gathering the latest market intelligence, exchanging insights and exploring business opportunities on the Chinese mainland and throughout Asia, while also building connections with global leaders in government, business and finance. Saud Meqdad Al Suwaidi gave a presentation during the AFF Deal Flow Matchmaking Session introduced through it the emirate of Sharjah, its key environmental and developing sectors and its investment opportunities. The AFF Deal Flow Matchmaking Session arranges one-to-one meetings between investors and potential deals from around the world and more than 1,000 companies have taken part in the event since its first edition, including investment project owners, private equity firms, investors, high net-worth individuals and senior professionals from intermediaries and professional service providers. During the forum government policymakers, regulatory experts as well as influential financial and business leaders from around the world came together to shed light on past events affecting global finances with a focus on Asian markets, they examined the present markets and looked at the policies and opportunities that will shape the future. The role of China and Asia in sustaining global economic growth was examined and distinguished leaders shared their insights on the region’s evolving financial outlook. The delegation from Shurooq took the opportunity to highlight development and investment opportunities in the emirate, by highlighting the four main areas of investment and development they oversee. These are healthcare; travel and leisure; transport and logistics and the environment. 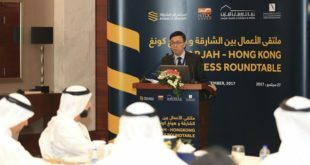 Shurooq ‘s delegation was able to take part in in-depth discussions and exchanges on topical issues in global finance and business such as policy trends and developments; global economic outlook and investment opportunities, Asia’s multi-speed development and Chinese financial liberalization. It also provided an ideal opportunity to connect with financial leaders, potential business partners, investment promotion agencies and consultancies from around the world. 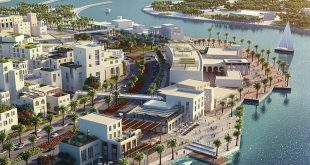 Sharjah Investment and Development Authority ( Shurooq ), is the driving force behind the transformation of Sharjah, the United Arab Emirates’ third largest Emirate after Abu Dhabi and Dubai. Guided by the heritage and traditions of Sharjah and inspired by innovation, ( Shurooq ) is committed to enhancing Sharjah’s appeal as an investment, tourism, and business destination.